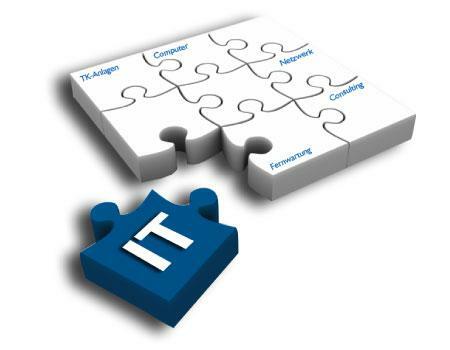 The IT audit is an integral component of achieving a stable IT security in your business. Solid corporate governance requires that companies regularly undergo these audits (i.e.,"health checks") of their IT security and infrastructure. An IT security audit, performed by a qualified IT audit company, analyzes individual technical infrastructure components at a detailed level, ensuring that each is functioning in a manner that reinforces appropriate information security. The stakes are made higher with a number of regulatory compliance requirements mandating that IT audits be included in organizational due diligence efforts. Enterprise Risk Management’s team of IT auditing and security specialists will help you navigate a sea of ever-changing business risks. By using customized tools, expert resources, and proven methodologies, we adapt our IT audit services to your specific needs. Our experienced professionals bring a deep understanding of Internal Information System Audits, Application Control, and Security Services, as well as Pre- and Post-Implementation Reviews. To find out more about how Enterprise Risk Management can help your organization in your efforts to implement a more robust IT security framework, please browse our IT audit services below. Recruit your information technology auditing team today. Click the button below to reach out to an ERM IT audit expert and get started with the strategic build-out of your organization's customized IT security framework. IT system audits prove the need for different controls and higher levels of data security. Enterprise Risk Management can help your organization mitigate the risks related to the development of new and enhanced application systems, as well as those in the light of existing applications. Our consultants have worked with clients over the years to provide high-quality services for applications and systems developed in-house, as well as for external software products. As the complexity and seriousness of software threats continues to evolve and affect organizations and their consumers, system implementation reviews are needed as web applications are an attractive target for hackers and criminals to commit fraud and other illegal activities. Web applications are exposed to more risk compared to other applications, since they are freely available 24 hours a day, as a part of their functionality. Therefore, IT system audits are essential. Additionally, web applications are one of the principal communication channels between an organization and its customers. This channel is effective only after organizations have established a trustworthy relationship with the client and a credible reputation. These objectives cannot be achieved when there have been no system audits, and when security stands on shaky ground. ERM can assist your organization with the design, implementation, and testing of your web application(s). Our services include web application hacking testing (“black box testing”), web application reviews, and full code reviews. Black box testing is a technique where the workings of the system being tested are not known by the person who is testing it. Since the tester is not the designer, the test is rendered to be unbiased. ERM can help address various risks associated with a system’s development life cycle. Specifically, Pre-System Implementation Reviews cover the evaluation of project management practices, design of control structures and security requirements, participation during IT system testing, validity of data conversion, audit of system interfaces, and general controls surrounding new or modified systems. Such implementation reviews provide a cost-effective approach to the enhancement of controls and security of the applications before systems are implemented into a production environment. Through system implementation reviews, ERM can also help address risks associated with new and modified systems that are already being used in a production environment. These IT system audits ensure that systems are operating as intended, meeting expected business objectives, and that the security and general controls surrounding the applications are adequate. Send us e-mail to start the conversation about high-quality applications implementation and reviews to mitigate the risks associated with new and enhanced systems. As organizations become more dependent on integrated technologies and automated systems, management is concerned with the rising costs associated with performing audits of their internal information system security. As internal IT audits are such a critical component of an organization’s functioning, organizational management often pushes forth to ensure the proper and efficient operation of the internal audit department. Modern-day realities have, however, brought forth the highly lucrative cost benefits of outsourcing the internal information system audit function. There are also instances where an information systems audit is not the core competency of the internal IT audit function of an organization. When opting to outsource the whole or part of such a critical function, organizational management should exercise discretion and caution with respect to the service provider it chooses. Enterprise Risk Management’s integrated risk management service team works with several client organizations on their internal information systems audit projects, with the full understanding and appreciation of the critical task at hand. Our team of experts has several years of experience in internal information systems audits and internal auditing with client organizations of various sizes and diverse industry verticals. Enterprise Risk Management works with client organizations to provide complete or partial outsourcing of the information systems department functions, auditing for compliance with internal systems, technical audit training, and special assistance on a project-by-project basis. Enterprise Risk Management’s team of internal information systems audit experts helps organizations to focus on the critical information systems risks that impact the bottom line of their operations. Send us email to start the conversation with an ERM security expert about completely or partially outsourcing your information systems security.